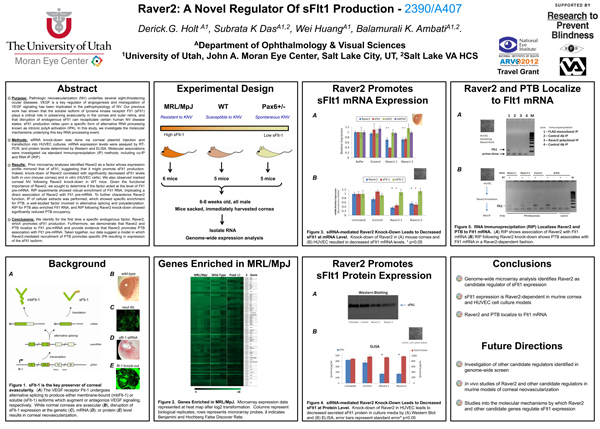 This poster was presented today at the Association for Research in Vision and Opthalmology (ARVO) meetings in Ft. Lauderdale, Florida by Derick.G. Holt, Subrata K Das, Wei Huang and Balamurali K. Ambati. Full size poster can be seen here.